Nice! Where did you find the set at? The code also applies to the first wave’s 3 packs so you will need to specify the names of the set. I was supposed to get the GI Joe Tactical set as well, but after waiting 20 minutes and them bringing the Invasion set and the Ninja Dojo, I decided not to wait. Maybe tomorrow. Thanks for the heads up I shall check over at our Targets soon. I still wish the paratrooper was in green to match the pre-zombie zombie viper, i’d love to see us get one in that paint scheme at some point. Glad you found it, I looked today with no luck. You know, I didnt even think of that. 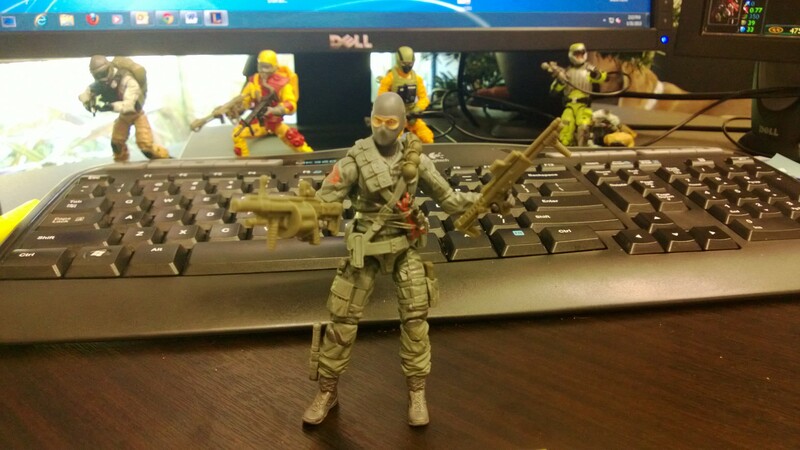 But after reading your idea, I’d also really have liked to get a green paratrooper so he can get infected. Kinda like the Toxo-Viper V2 and the Toxo-Zombie.